Remote Control Paintball Turret Will Keep Kids Off Your Lawn, Paint Your Lawn | OhGizmo! (Updated) OhGizmo T-Shirt Design Contest – There’s Still Time! By Evan Ackerman on 04/14/08 • Leave a comment! I used to play paintball… I had a totally badass setup which is now collecting dust in my basement. 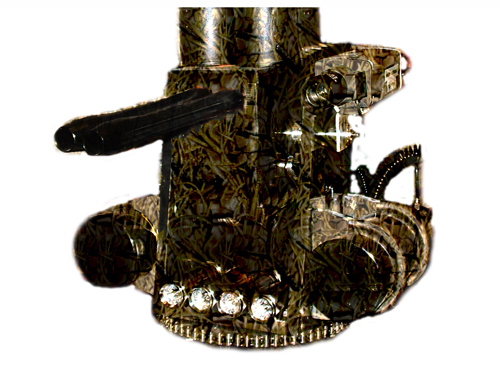 Seeing the EMT Paintball Sentry Turret is making my trigger finger itchy again, especially with the suite of add-ons that you can get to make this thing the terror of your backyard and/or workspace. 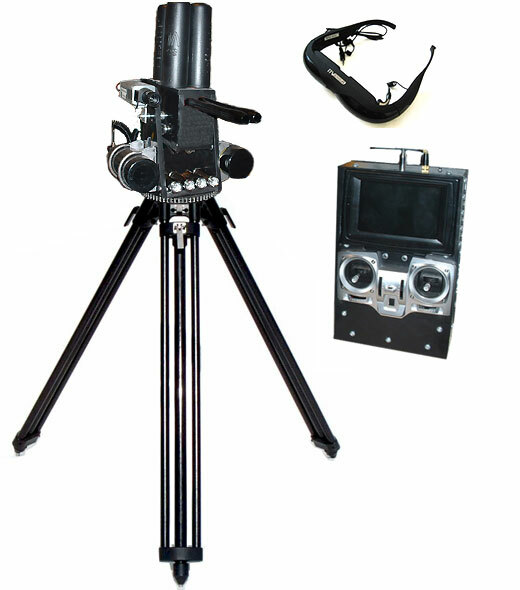 The most basic version includes what appears to be a custom made double barreled paintball gun, sitting on top of a mechanized pitch and yaw mount (350 degree rotation and 90 degree tilt) and bolted to a big tripod. The markers are powered by CO2 and gravity fed from hoppers (200 rounds each) on top. A camera mounted next to the guns relays a picture along a 25 foot cable back to a monitor and remote control, which allows you to aim and fire the weapon from the safety of a bunker. More specs on all the sweet add-ons, after the jump. Optional extras include a 2.4ghz 2 mile wireless link, higher resolution video with zoom lenses, video goggles, night vision, thermal vision, LED spotlights, hopper upgrades, water proofing, winter proofing… Seems like if you can come up with it, they’ll bolt it on. For a price. The coolest upgrade is a target that, when shot, will disable the system, allowing the turret to be “killed.” I just wish there were more specs on the markers themselves, such as their rate of fire, included anti-chop technology, and barrel threading. Of course, if I knew that stuff, I’d probably get the same disease that most paintballers have: the compulsion to upgrade. The base system will set you back $1400; if you want all the toys, think more like $3000 – $5000+. ← (Updated) OhGizmo T-Shirt Design Contest – There’s Still Time!